My name is Marissa Pasquale and I am from the Pueblo of Acoma. I am a Sophomore planning to major in the field of Social Work. 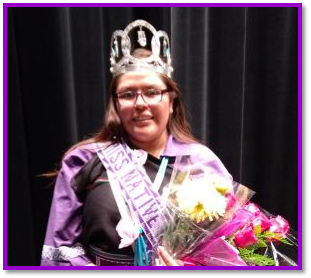 I was recently crowned Miss 2016-2017 Native NMHU Queen last November. As the new Miss Native NMHU Queen, I would like to say that I am more than pleased to accept the roles and responsibilities that come with my reign. I plan to set an example for my fellow community members as I represent my tribe and school very proudly. Although I am new to my reign, I look to this as a great learning opportunity. 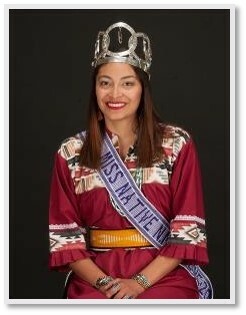 I would like to acknowledge our former Miss Native NMHU Queen, Lenaya Martinez. You have been an inspiration to myself along with plenty others. Thank you for setting an example to many and continue to be great! Also, I would like to acknowledge the Native American Club for the support and effort that they put into making the Miss Native NMHU Queen Pageant successful. “Always remember who you are, where you come from, and where you want to see yourself in the future, because as Indigenous people, education and our traditions are our only ticket to a greater future. Always learn all that you can and use your knowledge to make an impact in your community and in this society. Don’t ever let anybody tell you that you can’t because the only factor that either pushes you forward or holds you back is yourself and the way that you want to perceive this world”.